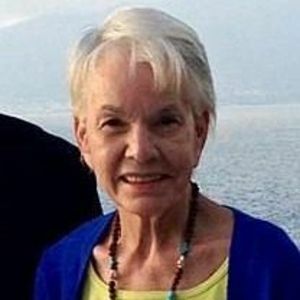 Mary Elizabeth Willis Phillips of Raleigh, NC passed away peacefully at home on January 19, 2018 surrounded by her family after a courageous, extended battle with Parkinson's Disease. Born in Birmingham, AL on July 26, 1941, to the late Mary Frances Romano and Ernest Linwood Willis, Jr., Mrs. Phillips grew up in Summerville, SC. She was a graduate of Ashley Hall and the College of Charleston. She met her husband Richard while working at West Virginia Pulp & Paper Company in Charleston, SC. Once married, the couple moved to Raleigh, NC and then spent the next 50 years making their home in Grenoble, France; Tuxedo Park, NY; Mobile, AL; and Cincinnati, OH, ultimately retiring to Raleigh, NC. "Sistee" to her friends and family was a devoted wife, mother, and grandmother. She loved working in her magnificent yard and gardens, hosting her friends and family at the beach, and driving back and forth across the Southeast with one of her many beloved dogs riding in the front seat next to her. Most of all, she enjoyed being "Grand." From dyeing Easter eggs and making gingerbread houses with her grandchildren to attending all of their birthday parties, she never missed a moment to share her love with them. As the grandchildren got older, she relished taking them on wonderful trips abroad and cheering them on at various sporting and school events. She was a best friend and confidant to many, always ready to listen with an open ear and heart. She had a special gift of making anyone in her presence feel special and welcome. A graceful warrior, she lived each day with resiliency and hope. She is survived by her adoring husband of 51 years, Richard Busbee Phillips; her two children, Romy Phillips Graham (John) and Richard Busbee Phillips, Jr. (Brooke); grandchildren, Clarkson Graham, Harris Graham, Busbee Phillips, Bennett Phillips, Bryce Phillips, and Brock Phillips; and her faithful dog Sadie. In addition to her parents, she was preceded in death by her brothers, Ernest Willis and Arthur David Willis, as well as her sisters, Carolyn Willis and Ceil Willis. The family would like to express their heartfelt thanks and gratitude to her caregivers who provided her and the family with assistance and compassion. The family will receive visitors at Brown-Wynne Funeral Home, 300 Saint Mary's St., in Raleigh on Friday, January 26th from 6:00 pm to 8:00 pm. A private graveside service will be held at Oakwood Cemetery. In lieu of flowers, memorials may be made to Dorchester Paws, formerly known as Frances R. Willis SPCA, 136 Four Paws Lane Summerville, SC 29483 or The Michael J. Fox Foundation for Parkinson's Research, PO Box 5014, Hagerstown, MD, 21741.